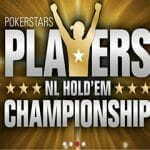 PokerStars has revealed its annual Players No Limit Hold’em Championship (PSPC) will have an extra $9 million in prize money on offer from 2019, including a $1 million bonus for the winner. 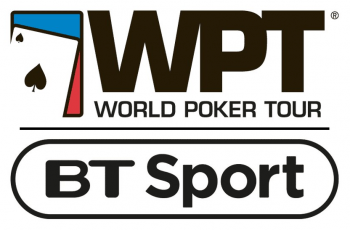 The revamped competition is expected to become the second biggest in the poker calendar after the World Series of Poker Main Event, but it offers a chance for more players to have a shot at winning big, with amateurs expected to participate against the world’s greatest players and the super high-rollers. Hopeful entrants require a $30,000 Platinum Package, which can be obtained by winning certain online tournaments, including the Sunday Storm, a MicroMillions event, a World Championship of Online Poker event, a Turbo Championship of Online Poker tournament, or other specified events throughout 2018. Plans are also afoot to include Platinum Packages in PokerStars’ chest rewards. Some packages will be awarded to successful players at PokerStars live events, and additional wild cards will be handed out to complete a final line-up of 300 players. Full details of the eligible events will be revealed in due course, while the first opportunity to win a Platinum Package was at the PokerStars Championship Prague on 15th December. Besides the $25k entry fee, the package includes $5k for travel and accommodation costs, plus some other rewards and surprises that are yet to be announced. The CEO of The Stars Group, which owns PokerStars, Rafi Ashkenazi, expects the new event will raise the bar and set a new standard for live poker tournaments. The PSPC event will be held in January 2019 in the Bahamas, a week before the 2019 PokerStars Caribbean Adventure, giving the company plenty of time to prepare a spectacular event in a spectacular setting. Team PokerStars member and poker legend Dan Negreanu believes the tournament is fantastic value for players following a recent “tumultuous relationship” with the community. He is happy with the changes to the event and believes more players will be tempted to take part.